North Carolina has four distinct seasons and as a result, we have people wanting to visit North Carolina 365 days a year. Unfortunately, In September, my home state took a gut punch with the arrival of Hurricane Florence. Like many tourists, she loved the Carolinas so much that she stuck around for days leaving a path of widespread destruction in many places in North Carolina. Interstate 40 flooded. That's not a river. That's a highway! If you have a vacation planned in Raleigh, Greensboro, Charlotte, Asheville, or Boone then you should be able to arrive at your planned destination without any issues. Some flooding and downed trees did occur during the storm, but tourism in these areas are back to normal. Our Mountains are one of the best places to experience fall. 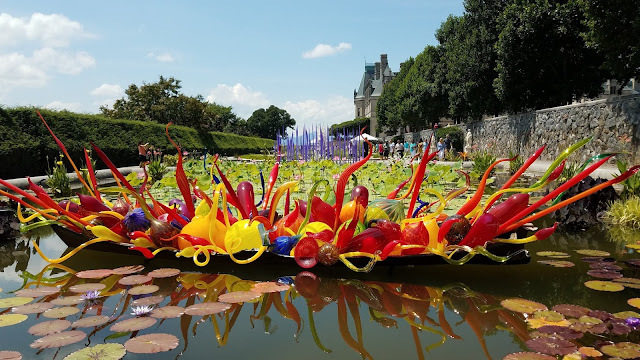 The Chihuly Exhibit on the Biltmore Estate will wrap up in October and beginning November 3, Christmas at Biltmore opens. Southeastern North Carolina was hit hard by devastation and flooding. Recovery will take time. Clean up is ongoing. Many North Carolina roads, including Interstate 40, toward Wilmington are still flooded in parts. Several inland counties remain flooded with washed out roads. If you are traveling to North Carolina, bookmark Drive NC.gov to see what roads are open for travel. It is also advised that you call your hotel or vacation rental manager before heading on your vacation. 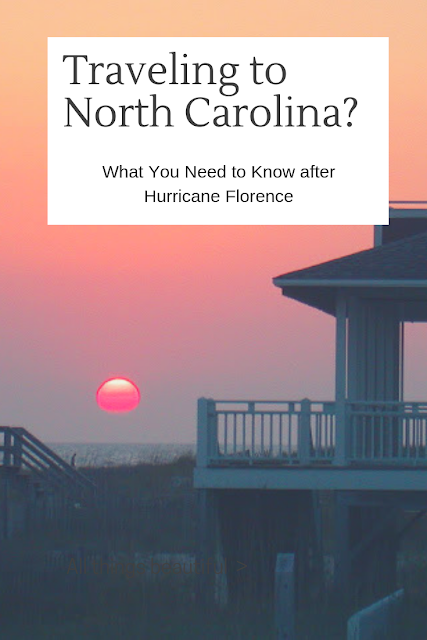 North Carolina's Brunswick beaches except for Bald Head Island and the seaport town of Southport, weathered Hurricane Florence better than expected. These beaches are open to residents and visitors, however, Brunswick County is currently under a travel warning. Inland roads remain flooded or washed out which makes it more difficult to get to the Brunswick beaches. Neighboring Inland county, Columbus County is also under a travel warning which many people use roads in this state to get to Brunswick County. 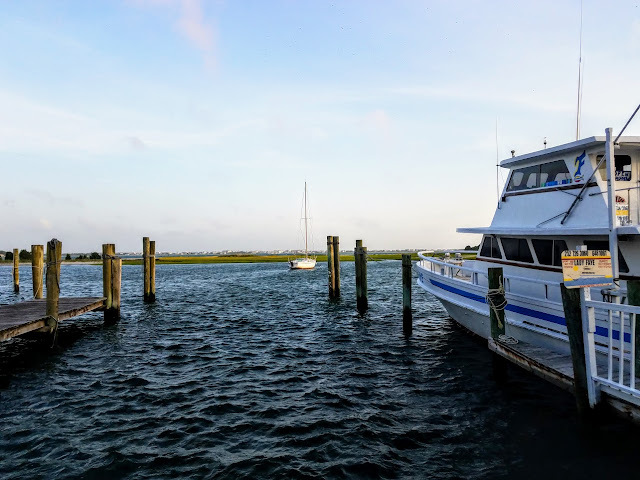 The town of Leland, in Brunswick County, is still under a State of Emergency as is the cute little seaport town of Southport and beautiful Bald Head Island, only accessible by ferry. Photos from Bald Head Island after the storm looked as if the entire island was flooded. All guests who were scheduled to visit Bald Head Island will be contacted. New Hanover County Beaches and Wilmington, N.C. Figure Eight Island, Wrightsville Beach, Carolina Beach, Kure Beach and Wilmington, N.C.
Hurricane Florence made landfall over this area. Clean-up and disaster recovery work is ongoing. If you have plans for this area, it is best to stay in contact with the New Hanover County tourism site. They are updating a lodging list daily. The Wilmington International Airport is operational. 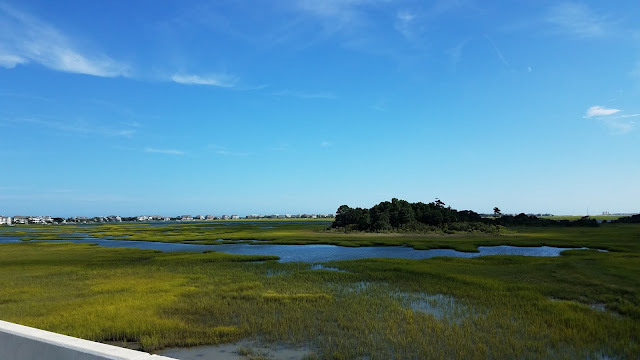 Figure Eight Island is a private island in Wilmington available to homeowners and renters only. If you have a vacation scheduled there then contact your homeowner or Figure Eight Realty about your rental. 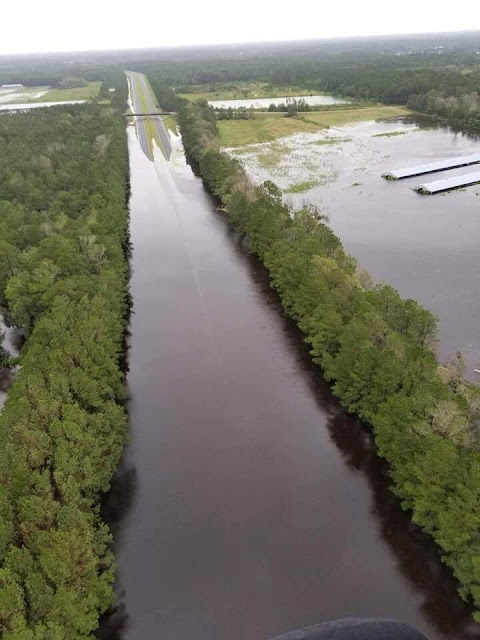 Interstate 40 has lanes closed in Pender County and many inland cities remain flooded in this county. The beaches of Surf City and Topsail Beach are closed to visitors until further notice. Only residents and contractors are allowed on the island. There is a curfew for the Pender County side of Topsail from 7 pm to 7 am. North Topsail Beach is under a 9 pm to 7 am curfew. The island is open to the general public, but use caution when traveling. All town parks including beach access are closed until further notice. The storm surge was extremely high in this area during the duration of Florence. Clean-up and storm debris removal are underway. Each beach is working hard and making progress daily. Curfews are lifted. Cape Lookout is closed until further notice. 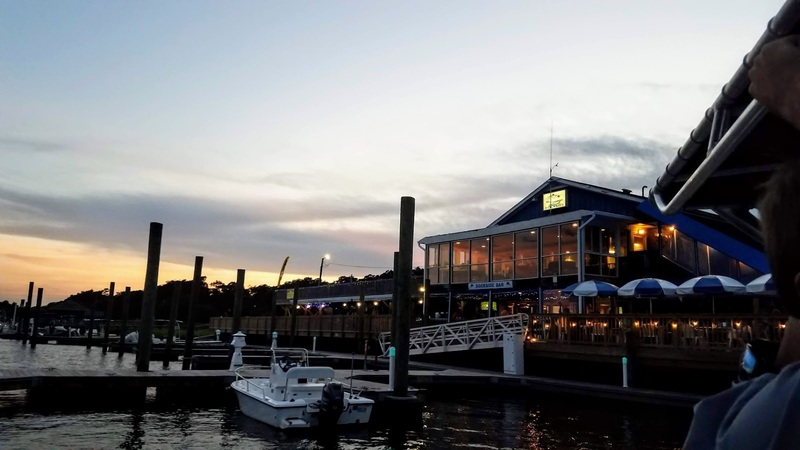 To stay updated on this area, continue to visit the Carteret County Official Tourism website. The historic town of New Bern, N.C. experienced epic flooding in Craven County during Hurricane Florence and the historic downtown part of New Bern was hit very hard. Tryon Palace is currently closed as is many businesses, especially downtown. The tourism site is not operating with current information at this time so be sure to check the New Bern town website regarding updates. Donations The North Carolina Disaster Relief Fund is available for donations to support North Carolina’s response to Hurricane Florence. To donate, visit governor.nc.gov or text FLORENCE to 20222.